Indo-European Foods wanted to promote new products within the Kohinoor brand range. 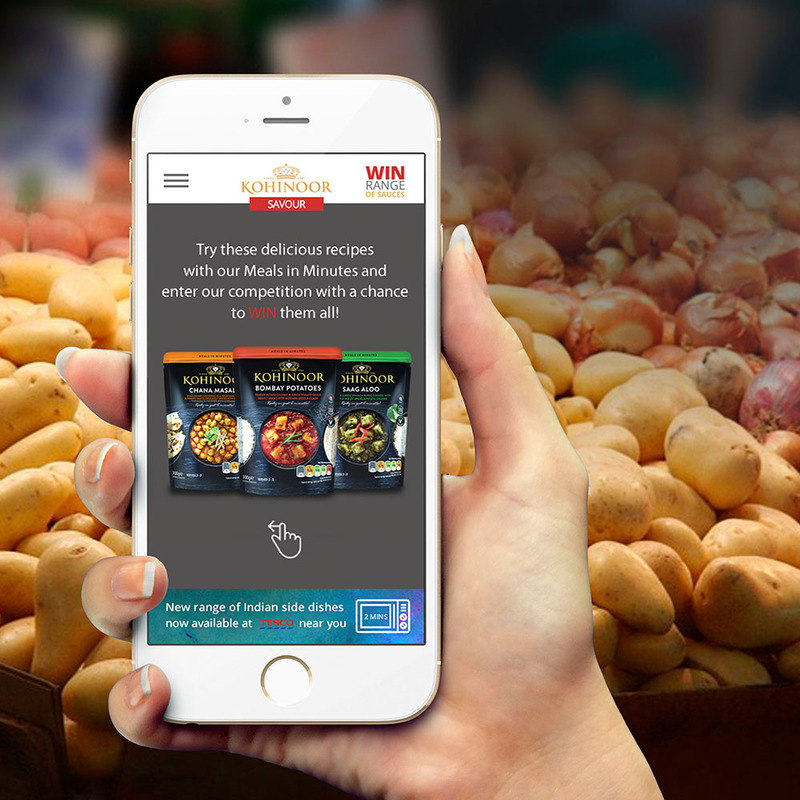 They wanted to drive engagement with their new products, available at certain Tesco stores, with a mobile website to increase brand awareness. Thump created a mobile-only website that would be directed to customers through geo-location marketing. The website focused on the three core products in the promotion at Tesco, and provided relevant recipes to the user. The interactive recipes included a tick-box shopping list of ingredients and share buttons across social media. A competition was also included in the mobile website as an incentive for engagement. Thump managed all aspects of data capture for this. The geo-location marketing was actioned through proximity push notification, thus allowing engagement only with consumers in a given location. When in proximity of one of the selected stores, a lock screen notification was triggered to the customer’s phone. This level of engagement allow us to connect with consumers more effectively by only giving them relevant information. On the mobile site alone, Kohinoor has had over 4,000 users in 3 weeks, with the average session duration amounting to over 2 minutes. This increased engagement and awareness of the brand has improved the overall digital marketing footprint of the brand.